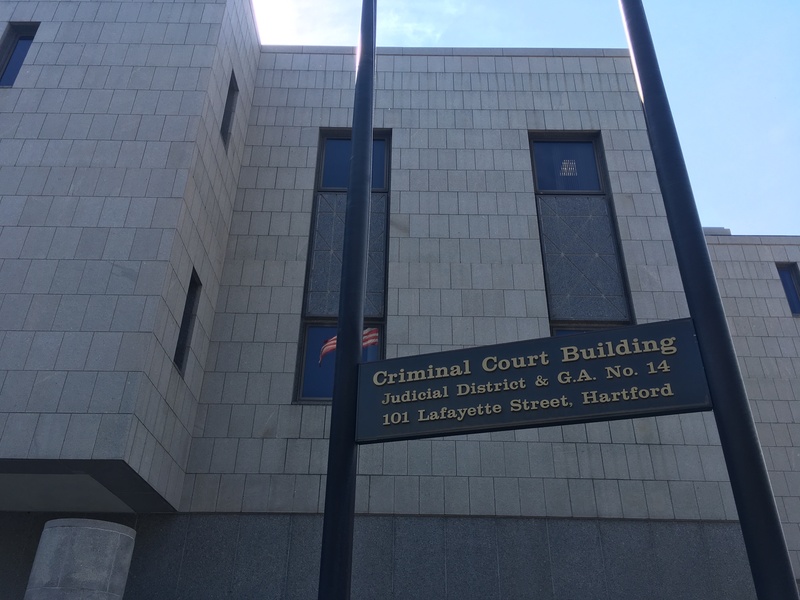 This past Friday, I completed my final day as an intern at the Hartford Public Defender’s office. While I am excited to enjoy the rest of my summer and prepare for my semester abroad to Peru over the next month, I am a little sad to be leaving behind an office that I have grown to love. Through my time here, I have learned a great amount about the criminal justice/legal system in our country and the great inequities that continue to exist within it. As far as social justice work goes, I have learned that it takes a lot of patience and willingness to make sacrifices. It can be hard at times when I consider the future career paths I would like to take, but also the reality that those paths typically involve being paid a great amount less. While there are many lawyers that work in the private sector making at least 3x the amount as the public defenders in my office, the lawyers I work with choose to do the work they do because of their passion for the job. Additionally, I have learned that it requires you to learn and work with people who often come from different backgrounds from your own. Something that I wish I had known when I started working at this internship last year, now having worked there for two consecutive summers, is the amount of emotional labor that goes into the job. 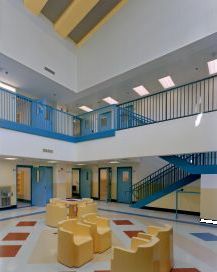 Everyday I would hear stories from our clients and the people I met in lockup, telling me about their circumstances and how they ended up in their situation. I can be a very emotional person so it was hard at times to hear these very painful stories, or hear about the very little means many of the families in Hartford live off of. 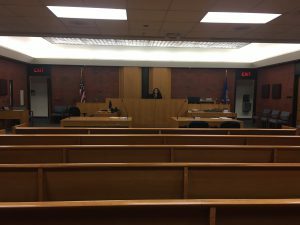 It was also hard at times as I learned some of the people I would talk to would often lie to myself and other interns if they thought it would help them have a better outcome in court. This was hard because while I have a great desire to help others, not knowing whether some people were being truthful or not made the job incredibly difficult at times. If I were to give advice to someone else who wanted to start interning at the Hartford Public Defender’s office or at another public service law firm, I would tell them to come in with an open mind and ears. Most of our clients struggle just want to be heard as they often feel they have little voice when it comes to their case. By giving our clients an opportunity to talk to myself and the other interns at court, I hope it allowed some to feel they were listened to and valued. 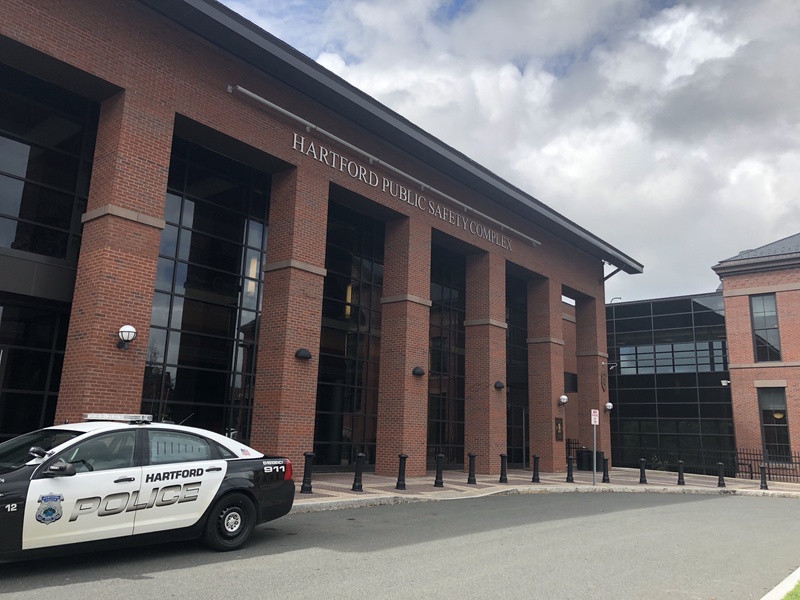 Picture of the outside of Hartford Police Department during a visit I took while delivering a subpoena with one of the investigators from our office. For people accused of criminal charges, it may feel like they have no one to support them and that they are looked upon as less than because of something they may have allegedly done. For many of the reasons I have discussed over the course of this summer, I believe the work done at the public defender’s office is some of the most important work done in the legal field. While I am sad to be leaving this office and its amazing staff behind, I look forward to visiting everyone in the future and continuing to do social justice work throughout my career. Through my work with the Hartford Public Defender’s office over the past two summers, I have learned a great deal about my passion for the field of law as well as many of the issues in the criminal justice system. Because my job is very hands-on and involves contact with clients on a daily basis, many of the skills I have learned relates to communication. The clients we serve come from all walks of life and from a variety of different backgrounds. I believe knowing how to properly communicate with every client to make sure they feel comfortable, respected, and supported is a very important part of a public defender’s job. While interning this summer, I got the chance to work alongside many of the lawyers at our office. One lawyer in particular that I had the privilege to shadow on many occasions taught me a lot about how to work with clients who suffer from severe mental health problems. Because she also comes from a background working in a mental health-related profession, she has many skills that help her to more effectively communicate with her clients. For instance, when talking to a client who is very worked up, anxious, and unstable from the process of being arrested and in lockup, she is able to speak with them in a calming manner that allows them the chance to calm themselves and act more rationally. She not only helps the client to feel a bit of relief when in an extremely stressful situation, but it also helps them to avoid presenting to the court in a more erratic state, which can be important when the judge is considering bond or other important decisions. I hope that in my future career as a lawyer or even just in my daily life I can use the skills I have learned from her as well as the many others I work with to be a better advocate and person overall. While it can be difficult to articulate exactly what I have learned about myself and my skills in the workplace, I believe that I have learned a lot about my interests in the field of law and criminal justice as well as what it means to be a working, professional adult. When I first began this internship last summer, I had few ideas about what I wanted to do for a future career. I had also never had experience working in a professional setting. During my time here at the public defender’s office, I have been able to find my passion for working with others and the field of law. It has allowed me to combine my interests in people, my background in psychology, and my fascination with crime in one place. I now have a much clearer idea of the potential careers I hope to pursue, such as working in criminal law, family law, and other social service agencies. Additionally, it has opened my eyes to the multitude of backgrounds people come from and the discrepancies of how people live in my city. Furthermore, this internship has made me excited about my future and the many different paths I can take down the road. 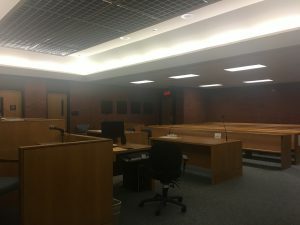 In short, the goal of the Public Defender’s office is to provide people accused of crimes with legal assistance in the event they are unable to afford to hire their own attorney. However, in doing so, they work to promote social justice in many different ways. While it may not always feel as though the legal issues being dealt with on a day to day basis relate directly to solving injustices, the work performed by the lawyers, social workers, and support staff as a whole assists clients by helping them connect with the resources they need to succeed. By doing so, this can help clients to avoid getting caught up in future situations that could potentially expose them to criminal charges. There are many clients that will come into our office arrested for petty crimes that often relate to drugs, or theft in order to get money for drugs. By having these clients talk to the social workers in our office and by connecting them with outside programs and resources in the community, we work to help break cycles of addiction that lead many people to get arrested and accumulate lengthy criminal records. This works additionally for those who suffer from major mental health problems. These two issues are much of the reason why many of our clients get arrested in the first place. Living in poverty without regular mental health or drug treatment exposes many of our clients to unfortunate and dangerous situations that can put their lives in jeopardy. Many of which could have initially been avoided with proper treatment. Examples of a few of the different organizations we work to connect clients with. 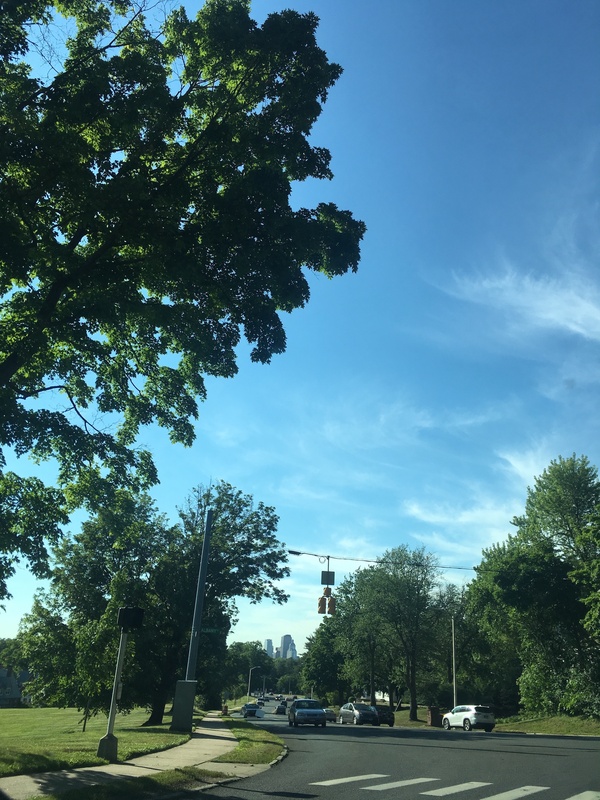 In this office, many see that progress for a client is not something that is typical witnessed first hand, it is often shown by not seeing them in our office again. It is hoped that by connecting people with these services, they will take advantage of newfound supports and will not end up arrested again. Our office helps clients to take baby steps towards a larger goal of overall success and stability in their lives. Many have children they have to take care of and need the ability to support them. By helping people begin to get on track by connecting them with programs and counselors, they eventually can take bigger steps towards their goals of getting a job, getting an apartment, and many others. 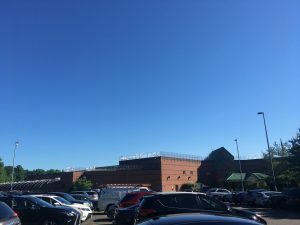 This summer, I have been working a lot with the social worker for our office’s JD department (the higher crimes division) and I was recently asked to participate in a prison visit with him and an attorney. 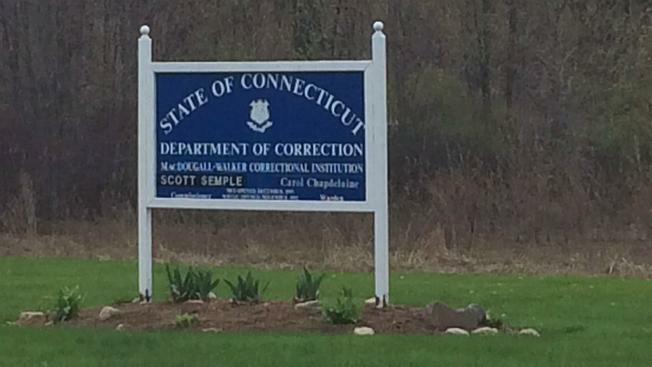 On Tuesday, we took a trip up to MacDougall-Walker Correctional Institution in Suffield, CT to meet with a client of theirs who is up for a parole hearing within the next few weeks. 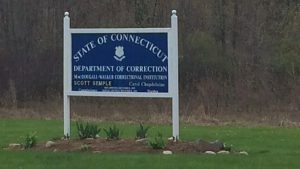 In case you are unfamiliar, parole is the practice of releasing sentenced prisoners from custody if it appears “that there is a reasonable probability that the inmate will live and remain at liberty without violating the law and that such release is not incompatible with the welfare of the community,” according to the Connecticut General Statutes. The inmate that we went to visit has been incarcerated since he was sixteen years old and continues to maintain his innocence to this day. Now in his thirties, he is hoping to build a meaningful life for himself outside of prison, in a world that he has not lived in since the early 2000s. My role during this visit was to create and ask questions in a mock interview to prepare our client for his hearing. Meanwhile, the attorney and social worker took notes and wrote down critiques to advise him on how to best answer questions he will be asked. 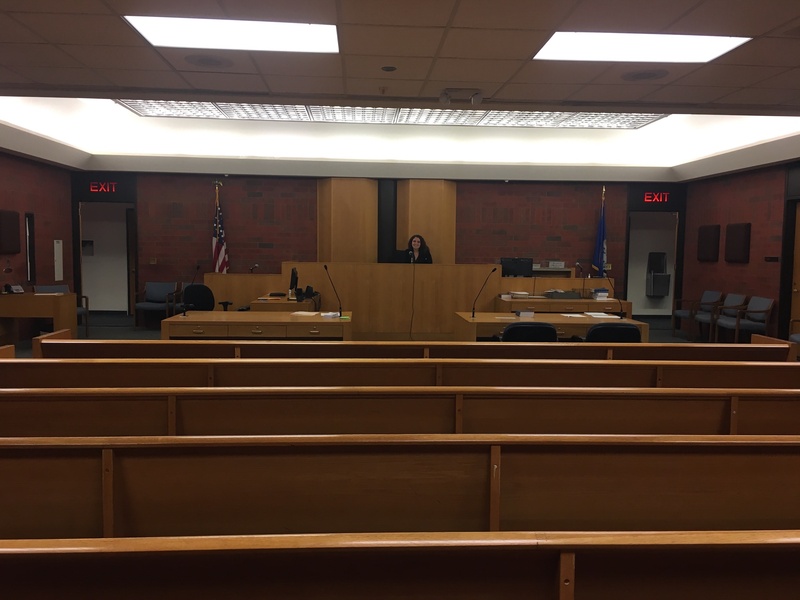 Thanks to the United States Supreme Court cases Graham v. Florida and Miller v. Alabama, it is now deemed unconstitutional to sentence juvenile offenders, like our client was, to life sentences without the possibility of parole. While helping out with this case, I have been able to consider some of the classes I have taken while at Brandeis. One of the most relevant has been “Investigating Justice,” a class I took last fall with Professor Rosalind Kabrhel. 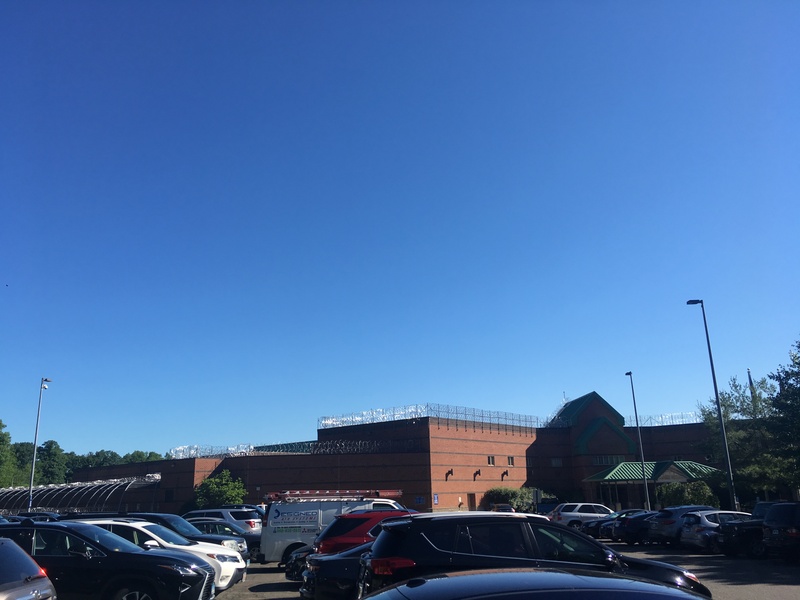 During this class, we spent a unit focused on the juvenile justice system and had the incredible opportunity to learn alongside students from a juvenile detention facility. Every week for a month, three students from the facility came to Brandeis and attended class with us. We learned about the pitfalls of the system and new programs currently being implemented to help support and rehabilitate juvenile offenders in order to ensure their success upon reentrance to society. Much of the time, kids like these do not have the same privileges or family supports that many of my classmates and I have been fortunate enough to grow up with. Many come from low-income communities where high rates of violent crime cause great stress for children and usually lead to ongoing mental health issues throughout life. During this unit, we learned the importance of providing resources for children and adults living in these communities, as well as for currently sentenced offenders to ensure they can go on to live productive lives upon their release. Thanks to this class and others I have taken, I am very cognizant of the many negative social consequences the criminal justice system can create. Now through my internship, I am learning what can be done in real time to help individuals on a case-by-case basis. While these supports may not have been in place for our client at the time of his arrest, his lawyer, social worker, family, and many others have been working for years to help him get out and go on to live a meaningful life like everyone deserves. Post 1: Kicking Off My Second Summer at the Hartford Public Defender’s Office! Hi! My name is Olivia and I am a rising senior majoring in Psychology. 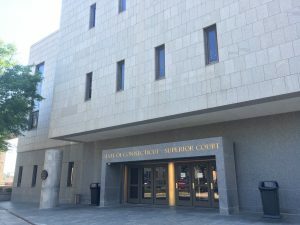 This summer I am interning at the Hartford Public Defender’s office located in the Connecticut Superior Court of Hartford, Connecticut. The Division of Public Defender Services is a state-run agency that works to ensure that indigent persons charged with a criminal offense have access to quality legal counsel in the event that they are unable to afford to hire a private attorney. 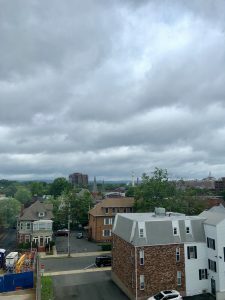 Here in Connecticut, the criminal courts are divided into two parts: Judicial Districts (JDs) and Geographical Areas (GAs). There are 13 JDs and 20 GAs in the state. Hartford has both a JD and a GA, ours is known as GA #14. Cases are sent to either the JD or GA based on their severity and the level of charges a person is facing. Misdemeanors and lower level felonies are heard in the GA while higher level felonies are heard in JD. As an intern, I am often the first point of contact for many of the clients we serve. Every morning, myself, along with the other interns in the office, go down into the courthouse lockup to interview everyone who has been arrested the night before and inquire if they want to apply for a public defe nder. Afterward, we put together all the files needed for their arraignments. An arraignment is a person’s first appearance before the court and it usually involves an argument related to that person’s bond. In addition to overseeing this aspect of our office’s work, I participate in investigative trips into the community, write up record reviews for social workers, and shadow attorneys. This is my second summer interning here, and because of that, I am able to work more closely with many of the people in the office and be more thoroughly involved with cases. I believe the work that I and the other interns do is important for helping our clients to feel supported in a time where many of them may feel they have no voice and are likely experiencing a myriad of difficult emotions. I hope that through working even more closely with the lawyers and staff this summer, I am able to learn more about important communication tactics I can use in my future law career to ensure my clients feel as though they have agency throughout their case. Additionally, my academic goal for this summer is to examine more closely how psychology and mental health intersect with the legal world. By strengthening my existing connections with the office social workers, I hope to gain more exposure to this aspect of legal defense. 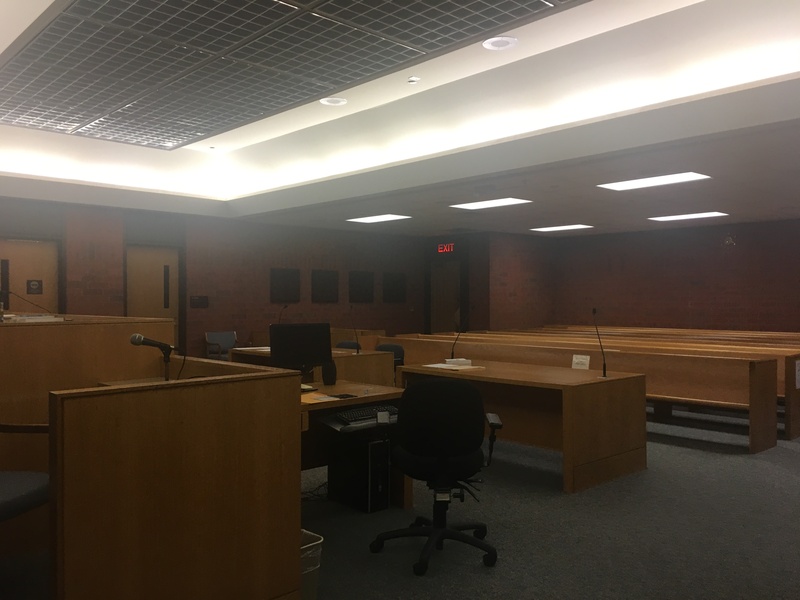 I look forward to updating more about the always interesting events that take place in and out of the courtroom, as well as discussing the complex issues that relate to criminal law. I am so excited to be back in Hartford for the summer and back in this office that I love so much! Stay tuned! 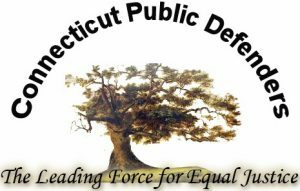 Author Olivia Kalsner KershenPosted on June 26, 2018 June 29, 2018 Categories Recipient of Social Justice WOWLeave a comment on Post 1: Kicking Off My Second Summer at the Hartford Public Defender’s Office!